Footage collection of vector icons representing Japan and Japanese culture. Various illustrations related to the architecture, nature, culture and religion of the country. Images of Asian buildings, landmarks, nature sites, Mount Fuji, accessories, plants and food. Free vector illustrations for all your Japan, Japanese culture and traveling projects. 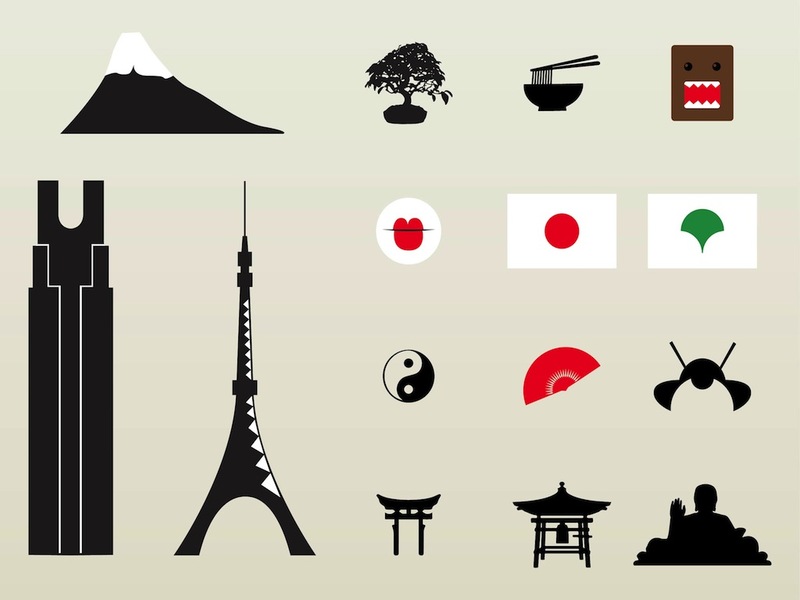 Tags: Bonsai, Domo, Flag, Icons, Japan, Mount Fuji, Mountain, Symbols.